Managing the eviction process needn’t be difficult. Prevention is, though, always the best cure. That’s why, at Triumph Property Management, we deter evictions by placing the very best tenants into each property. In some unexpected cases, though, the eviction process must be pursued. Here, we review how best to manage that process. Evictions are time-intensive and costly. No landlord wants or expects an eviction. When they do happen, landlords must act appropriately – in-line both the lease agreement and local, state and federal legislation. Of course, from time to time, this legislation changes. It’s important that you, as the landlord, are on top of these housing laws and act within their bounds. Failure to follow the correct eviction process results in greater delays, added costs and even the risk of being sued by the incumbent tenant. Just because the landlord owns the property does not mean they can act as they choose. Below, we review some common mistakes that landlord makes and how they should act when faced with tough challenges. Landlords should not and cannot evict tenants on their own terms. Landlords must stick to the letter of the law. For example – you cannot forcibly remove the tenant from the property, even if they have acted outside the law. Standard eviction processes involve documenting what the tenant has done / continues to do, providing this evidence to the relevant body whilst informing the tenant to vacate the property. Of course, there may be caveats to this rule – such as the decision by the landlord to allow the tenant to pay late rent by a defined period to avoid eviction proceedings from continuing. That’s because both the tenant and the landlord have agreed to abide by the terms set out in the lease agreement. As such, the landlord is bound by these conditions as much as the tenant is. In effect, the landlord owns the property in all but name. The occupant has rights too – not only those set out in the lease but also regulations stipulated by the relevant state and local regulatory bodies. That’s why it’s important to either consult an attorney, or, alternatively, a qualified real estate agent to conduct the eviction process on your behalf. Real estate agents understand the letter of the law, how best and how quickly the tenant can be removed – and acts in a way that protects your interests. A swift and timely eviction means you can re-occupy the property and re-start earning the income it was set out to harvest. Landlords who breach these conditions may be liable to be sued by the tenant. Evictions are stressful, there’s little doubt about it. But they can be made more stressful by acting outside the law, or by acting in a means that compromises your position. It’s imperative that you act in accordance with the terms set out in the lease agreement and within the jaws of the current real estate legislation. 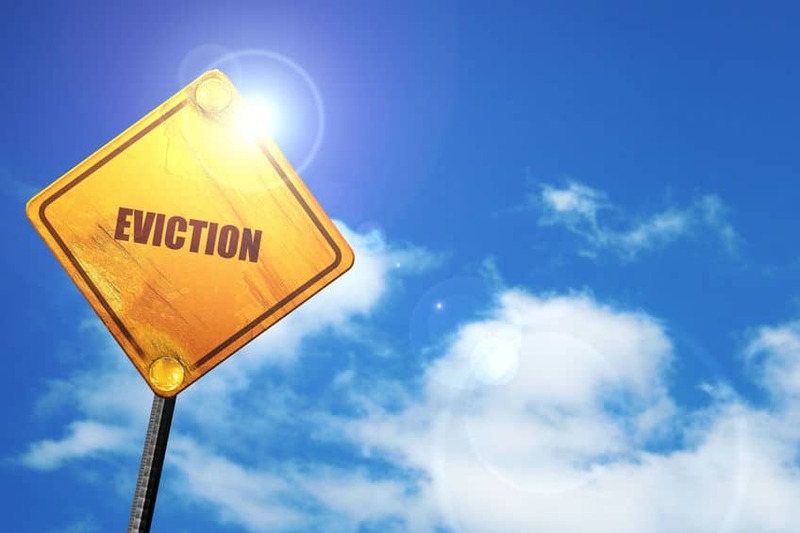 If you are unsure of the eviction process, you should consult a real estate agent. With the laws and experience on their side, they can help you evict the tenant as quickly as possible and help restore the income potential of your investment. Triumph has conducted hundreds of successful evictions – removing the tenant in a quick and swift manner that helps recover your losses. Take a few minutes to review our Las Vegas property management and eviction services and how best we can assist you with your real estate needs.